BE IN TWO MINDS ABOUT SOMETHING (PP) TO HAVE DIFFICULTY MAKING A DECISION. BE ON THE MEND (PP) YOUR HEALTH IS IMPROVING AFTER AN ILLNESS OR AN INJURY. BURST ITS BANKS (VP) THE WATER IN A RIVER GETS SO HIGH THAT IT SPREADS AND FLOODS THE LAND. CRYSTAL CLEAR (ADJ) VERY CLEAR. DROP OFF (TO SLEEP) (V) TO START TO FALL ASLEEP. THE EMERGENCY SERVICES (N) THE ORGANISATIONS WHO DEAL WITH ACCIDENTS AND URGENT PROBLEMS:FIRE, POLICE ETC. GASP FOR BREATH (VP) TO BREATH LOUDLY AND WITH DIFFICULTY TRYING TO GET MORE AIR. HAVE A FLASHBACK (VP) TO HAVE A SUDDEN MEMORY OF SOMETHING BAD THAT HAPPENED IN THE PAST. HEAD FOR SOMETHING (V) TO MOVER TOWARDS SOMETHING. IN THE DISTANCE (PP) A LONG WAY AWAY. IN EXCESS OF (PP) MORE THAN. KEEP AN EYE ON SOMETHING (VP) TO WATCH OR LOOK AFTER SOMETHING. KEEP UP WITH SOMETHING (V) TO MANAGE TO DO WORK AS IT IS GIVENAND NOT BE LATE IN DOING WHAT YOU HAVE TO DO. KEEP YOUR FINGERS CROSSED (VP) SOMETHING PEOPLE DO FOR LUCKHOPING THAT THINGS WILL HAPPEN THE WAY THEY WISH. LOOK ON THE BRIGHT SIDE (VP) TO FIND GOOD THINGS IN A BAD SITUATION. LOSE YOUR NERVE (VP) TO SUDDENLY BECOME FRIGHTENED AND UNABLE TO DO SOMETHING. MAKE A DIFFERENCE (VP) TO HAVE A GOOD EFFECT ON A SITUATION. PULL SOMEONE´S LEG (VP) TO TRY TO MAKE SOMEONE BELIEVE SOMETHING THAT IS NOT TRUE AS A JOKE. PULL OVER (V) A VEHICLE MOVING TO THE SIDE OF THE ROAD AND STOPPING. RISK YOUR LIFE (VP) TO DO SOMETHING SO DANGEROUS THAT YOU COULD DIE. SAVE SOMEONE´S LIFE (VP) TO DO SOMETHING TO PREVENT SOMEONE DYING. SETTLE UP (V) TO PAY SOMEONE THE MONEY YOU OWE THEM. STAB SOMEONE IN THE BACK (VP) TO DO SOMETHING HARMFUL TO SOMEONE WHO TRUSTED YOU. TAKE SOMEONE TO COURT (VP) TO TAKE LEGAL ACTION AGAINST SOMEONE. TURN A BLIND EYE TO SOMETHING (VP) TO PRETEND NOT TO NOTICE OR IGNORE SOMETHING THAT YOU KNOW IS WRONG. TO SAY WHY YOU DO SOMETHING: I HAVE JUST BEEN RUNNING TO GET SOME EXERCISE. TO SAY WHY SOMETHING EXISTS: THERE IS AN EXAMPLE TO HELP YOU. AFTER TOO AND ENOUGH: IT IS TOO COLD TO GO SWIMMING TADAY. HE ISN’T GOOD ENOUGH TO MAKE THE TEAM. 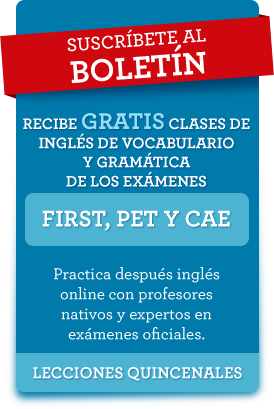 THE INFINITIVE IS USED AFTER THESE VERB PATTERNS. VERB + SOMEBODY/SOMETHING + TO INFINITIVE: THE MONEY ENABLED HIM TO GO TO UNIVERSITY. ADVISE ALLOW ENABLE ENCOURAGE REMIND FORBID FORCE INVITE ORDER TEACH TELL PERMIT PERSUADE RECOMMEND WARN. AFTER PREPOSITIONS: HE HAS MADE A LOT OF FRIENDS BY JOINING THE TENNIS CLUB. WE WATCHED A FILM ABOUT CLIMBING IN MOUNTAINS. AS SUBJECTS OR OBJECTS OF A SENTENCE: CLIMBING IS SAFER THAN IT LOOKS. HE DECIDED TO TAKE UP RACING. THE VERB + -ING IS USED AFTER THESE VERBS: ADMIT APPRECIATE AVOID CELEBRATE CONSIDER DELAY DENY DISLIKE ENJOY IMAGINE INVOLVE KEEP MIND MISS POSTPONE PRACTICE REGRET RISK STOP SUGGEST. I REALLY ENJOYED WINNING THAT MATCH. SHE SUGGESTED PLAYING A GAME OF FOOTBALL.